• 4,431 sq. ft., 5 bath, 3 bdrm 3 story "plus unfinished lower level" - MLS® $489,000 - Live on a Grand Scale! 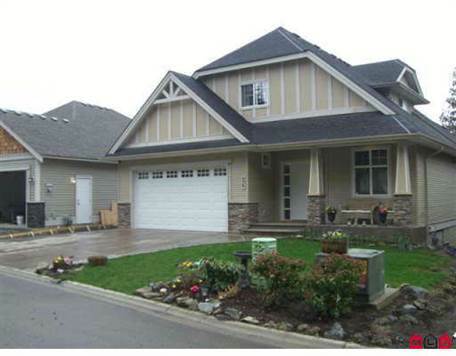 Promontory, Chilliwack - Stunning home in beautiful Sherwood Park Estates on Promontory. 3 finished levels of spacious living with master on the main floor. 4th level is ready for your ideas. Soaker tub and separate shower in ensuite plus extra large walkin. Enjoy the morning sun and mountain views from full decks on main and lower levels. Spectacular tiled entryway and kitchen, beautiful wide plank flooring throughout the main and top floors. Vaulted ceilings, designer lighting, chocolate maple cabinetry, granite countertops, island with beverage fridge, pantry and top of the line appliances. Love the rock fireplace and large windows overlooking green space behind the home. Secure gated community, you will love it here!